You need to keep your home clean, comfortable, and convenient, and its plumbing system is a huge part of maintaining those qualities. So when you have any problems with your plumbing, it can be extremely frustrating, and you need to have prompt and professional repairs performed as soon as possible. When you're cleaning up after cooking a meal, it's only natural to want to take a few shortcuts. However, it's very important to remember that pouring any grease, frying oil, or other lipids down your sink will clog your drainpipes, and eventually, you'll need to have a professional take care of the problem. 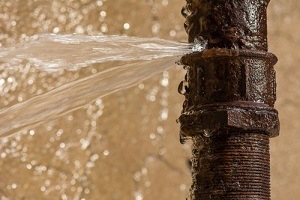 Greases and oils that are poured down your drains will cool and coagulate in your pipes, causing clogs that will lead to major problems with your plumbing system. To properly dispose of grease, first let it cool, then scrape it into a non-recyclable container and throw it away. Many homeowners reach directly for the store-bought drain cleaner when their tubs or sinks start to drain slowly. These drain cleaners, however, are made of chemicals that can cause severe damage to your drainpipes, leading to corrosion and leaks in your pipes, especially if they're used repeatedly. If your pipes have recurring issues with clogs, call our plumbers to handle the situation. Many homeowners simply don't understand how to properly use their garbage disposals. Despite their name, garbage disposals aren't a second trash can, and they should not be used for large amounts of food waste. They also cannot process fibrous foods like celery or potato peels, both of which can quickly cause clogs. You should always be sure to toss food scraps in a compost pile or the trash can. When you do use your garbage disposal, make sure that you rinse the ground food down the drain with plenty of water. For more great plumbing tips and solutions to common plumbing problems in Topeka, call 785-267-4100 or complete our online request form.